From small boutique hotel to large luxury resorts, hospitality guests of today know what they want from customer service and, if they don’t get what they want, they will choose a different place to lay their head at night. Think Big Picture – It’s not only your staff that are working within your facility that need to be connected – you need to ensure you can easily answer questions throughout your grounds as well. Two way radios allow that and more! 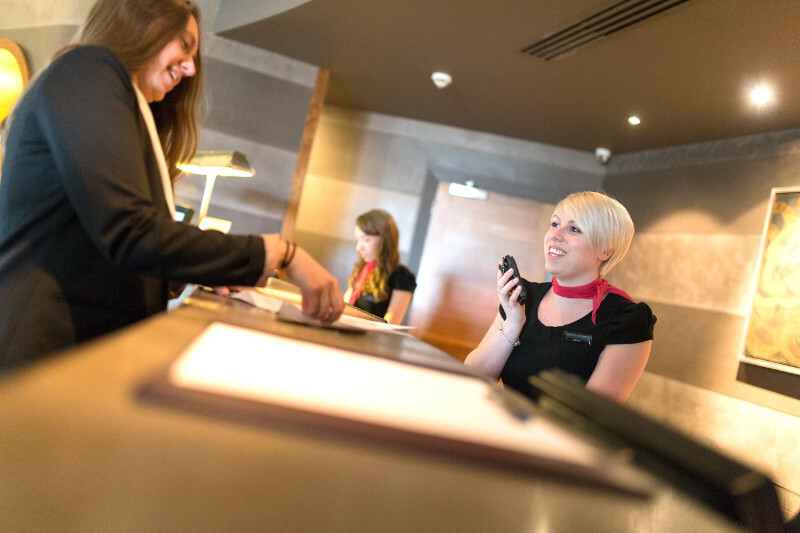 Improved Responses – By simply handling guest requests more quickly and efficiently, you can immediately benefit from better guest relations and an incredible first impression for new guests at your facility. Imagine being able to contact housekeeping, maintenance or security at the touch of a button. It’s possible with two way radios, and your team communication potential will benefit. Appropriate Equipment – Not every employee in your business requires the same size and type of two way radio equipment. An office employee, or someone working at the front desk, for example, might find a bigger two way radio hinders their ability for better customer service. With the right mix of two way radios, staff customer service can flourish – and your guests will be grateful for it. Keep Everyone Connected – With the right two way radios, your customer service can easily beat out your competition. Seamless team communication among your staff members allows for the best guest experience – no matter what size your hotel is. With digital two way radio systems and MotoTRBO technology, you will see improved productivity and the ability to have your team and facilities running smoothly, just like you (and your guests) expect. Make It Professional – Your guests are paying good money for a great experience at your hotel. Whether it’s a repair in a guest room or ensuring the needs in your conference facilities are being met, when hotels respond quickly to these moments, visitors come back again. Often times, however, your guests don’t want to see the chaos that often happens behind the scenes. With two way radios and the right accessories, your team can maintain communications, but discreetly, and your guests will be blown away by that experience. With MotoTRBO two way radios from Motorola, the hospitality industry has seen the results above – and more! 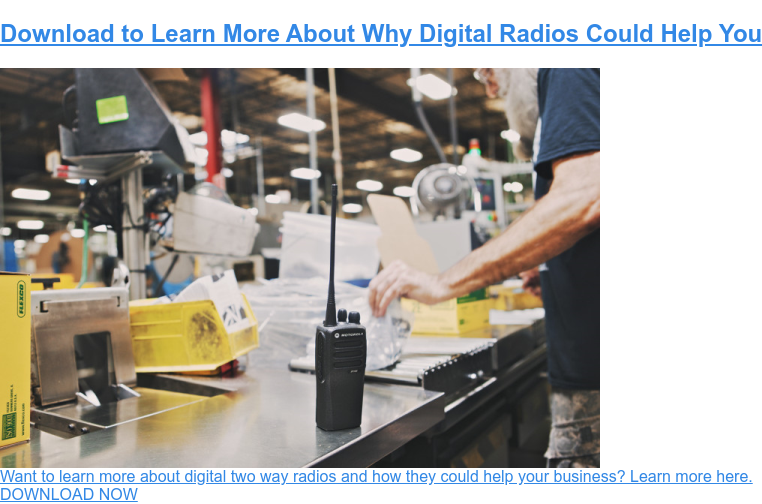 If you’re looking to increase your operations speed and security, reduce operational costs and thrive in the customer service world, then a move to two way radios may be your solution. Want to find out more? Nova Communications has been in the business of two way radios for more than 30 years, and our team has a combined 200 plus years of experience selling to people just like you. We’d be happy to chat with you about what your team communication needs are, and the technology necessary to help you improve your customer service experience. Contact us today for more information. Want to find out which two way radio would work best for your team? Try our Portable Radio Selection Guide below.